Soccer Shots of Gloucester County offers indoor soccer for kids ages 21/2 to 5. You can enroll your child in our intro to soccer program during the cold winter months when the weather gets a little harsh for outdoor soccer. Having the opportunity to play soccer year round gives the chance for young children to develop their gross motor skills, get quality exercise, and have a lot of fun. Your child will develop positive character traits, make new friends, and learn soccer skills in a warm, supportive environment with lessons that are designed specifically for his or her age. Our soccer curriculum aligns with the New Jersey State core curriculum standards. Two locations: Pitman and Swedesboro. The links below give you (1)more general information about Soccer Shots in Gloucester County, (2)the class options for your child right now, and (3)more information about how the Soccer Shots national franchise impacts so many kids all over the country. 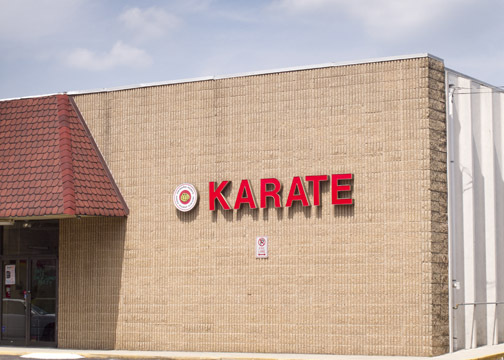 OKKA Karate Academy - 72 East Holly Ave. Pitman, NJ. 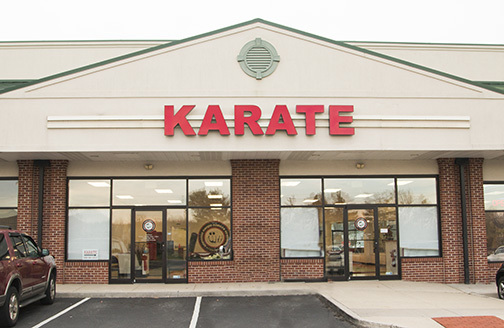 For the winter soccer season, Soccer Shots runs the sessions inside at the OKKA Karate Academy, 72 East Holly Avenue in Pitman. The padded floors are the perfect surface for youth soccer. The size of our soccer "field" is just right for indoor soccer for kids ages 21/2 to 5. The parent/sibling sitting section gives you a great vantage point to watch our child play. You can see the current and future class schedules and options for indoor soccer here: Winter Indoor Soccer. Soccer Shots uses a secure online registration system that ensures safe and accurate information is passed on us. The children are divided up according to age and experience once most of the registrations have come in. Your child's exact start time may vary slightly from the time given on the registration page and your start time will be emailed to you about a week before the first session. After a few weeks, if your child is not benefitting from the program, or simply isn't having fun, we'd be glad to give you a refund. You can create your own account or register as a guest. Many of the kids play more than one season with Soccer Shots and parents like the idea of already having an account set up with Soccer Shots for future seasons. Here is our registration site. Indoor soccer facility - 525 Beckett Road, in Swedesboro. For the winter soccer season, Soccer Shots runs the sessions inside at the OKKA Karate Academy, 525 Beckett Road, in Swedesboro. The size of the area for soccer is just right for children ages 21/2 to 5. There is a adjacent area for parents and siblings to watch the children play their soccer games. You can see the class schedules for the current season and options for indoor soccer in Swedesboro here: Winter Indoor Soccer. You may already know about the physical benefits that children get from playing soccer. Research has shown that kids who participate in regular physical activities are less prone to be obese and childhood obesity is at an alltime high in the United States. When it's cold outside kids are less likely to want to play outdoors and this leads to more inactivity. Indoor soccer for kids is a great way to counteract at least some of that activity dropoff that naturally happens during the winter. have stronger muscles and bones. have a leaner body because exercise helps control body fat. be less likely to become overweight. Among the many emotional benefits of physical fitness are improved confidence and stronger self-esteem. Benefits like these have an impact on your child that will carry over to adulthood. What many parents don't know is the mental and emotional benefits of of physical activities. 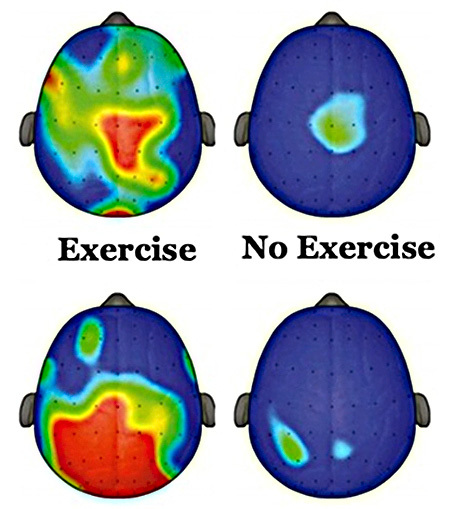 Look at the brain scans below, comparing what brain scans look like with and without exercise. 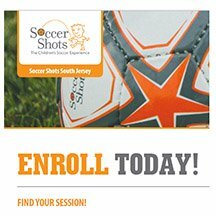 Soccer Shots-South Jersey is happy to offer indoor soccer for 2 and 1/2, 3, 4 and 5 year old children. Our indoor soccer program has lessons that are fun and full of physical activities that keep the kids active in the cold Winter months. The kids who want to play indoor soccer with Soccer Shots don't need any specialized equipment. Regular athletic shoes without cleats are all that you need. We have soccer nets, balls and uniform pinnies for all of our imaginative games and activities. The soccer lessons are designed specifically for young children to have fun, learn soccer and experience social interaction with other young children. Soccer Shots-South Jersey serves children in Gloucester and Counties and is one of over 100 Soccer Shots Franchises in the United States and Canada. South Jersey soccer programs run by the towns often start at age 6, so the young kids, ages 3,4 and 5 miss out. 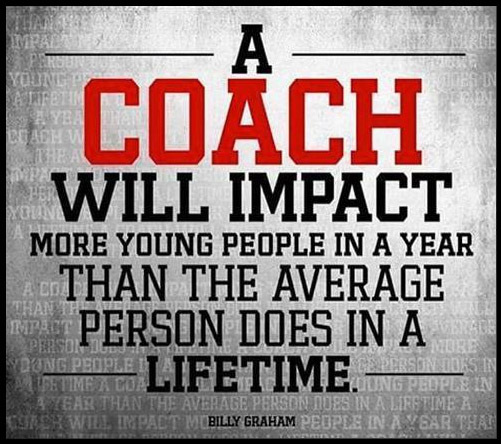 Often the youth soccer programs are run by parent volunteers who may not have experience in teaching soccer lessons. "New Jersey soccer for children" is a phrase that's used to search for soccer programs for kids in our area. Another search term parents often use is "Indoor Soccer near me" when searching for the the right indoor soccer facility. South Jersey Soccer Shots has three indoor soccer programs in Gloucester County, New Jersey. They are offered on Sunday, Monday, or Tuesday They are open to kids in Pitman, Glassboro, Mantua, Sewell, Turnersville, Washington Township, Mullica Hill, Swedesboro, Woolwich, Woodbury, West Deptford and other surrounding towns in southern New Jersey. New Jersey Soccer for children has grown tremendously in the past 20 years and has contributed to the improvement in the United States national teams. South Jersey soccer programs in particular have progressed dramatically. When I first started playing soccer for a South Jersey high school in 1975, there were no outdoor soccer programs for kids, let alone any opportunities to play inside.The Soccer Shots program was started in 2000 by former collegiate and professional soccer players. They decided to teach children how to play soccer in a positive environment that would encourage healthy development. Playing with the coaches and other children teaches the kids invaluable lessons. Promote New Jersey Soccer For Children and South Jersey Soccer! Let's face it. We all want our kids to get outside and play, but we know that here in the Northeast, it's not always possible because of the weather. 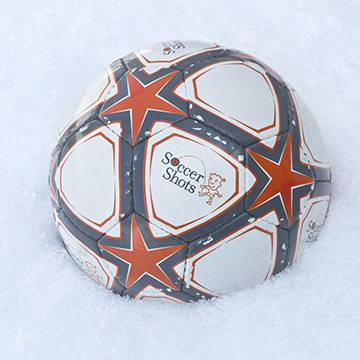 The sometimes frigid temperature, wind, and snow make it tough to play outside soccer year round in our climate. Having an indoor soccer facility makes it possible for your child to have fun, get exercise, and develop soccer and life skills in the winter months. Trying to organize your own soccer game for young kids on a snow day sounds like a interesting idea, but it might be tough to pull it off successfully. Soccer Shots does the organizing for you. We've already got the warm and dry facility set up for your child to play soccer with other young children in the same age group. Your Search for "Indoor Soccer Near Me"
If you did a search for "indoor soccer for kids," or "indoor soccer near me," and you live in or near Gloucester County in southern New Jersey, this is the right post for you. If you're looking for an indoor soccer program for kids in another area of the country, try searching using the term indoor soccer for kids near "blank" where you name the town and state instead of the word "blank." We are THE Children's Soccer Experience in South Jersey. Leave Indoor Soccer for Kids - Return to Soccer Shots Home Page.